Had my crystal fix again over the weekend. If you are privy to information on the shifts we are undergoing throughout the world in terms of energy, then you also know that a lot of change is happening, swiftly. These changes bring about both the best and the absolute worst in those around you. There may be times that you feel a little “off” and this may be because you’ve absorbed some emotional stress from someone else. If you find yourself always in crowded places, a high stress environment (at home or at work) or interacting with people who are heavy hearted, depressed, aggressive or well, dare I say it, bitchy, then you open yourself up to their energies. There are ways to “shield” of course, but no shield is 100 impenetrable. When days hit you that are particularly heavy it’s good to have a tektite around to hold, put under your bed, meditate with or just lay on parts of your body that you feel are misaligned. There are two types of tektites…meteorites so to speak that I like working with. The Bicol-found tektite called “bikolite” and the Tibetan tektite. Meteorites are of course, thousands, perhaps even millions of years old and we have been fortunate enough to have had one “crash” into our country many years ago. Well, we’ve probably have had many, but at least the ones found in Bicol are fairly recent. When hold a tektite, look for ridges or “holes”. The more ridges, or holes the more absorbent it is. If you’re sensitive you can actually feel the “swoosh” of the energy from the palm of your hand into the crystal. To clean out the crystal (after an especially tiring day) you can rinse in fresh water, rubbing with a little rocksalt and then let them moonbathe to re-energize. They’re very low maintenance alien “stones”. 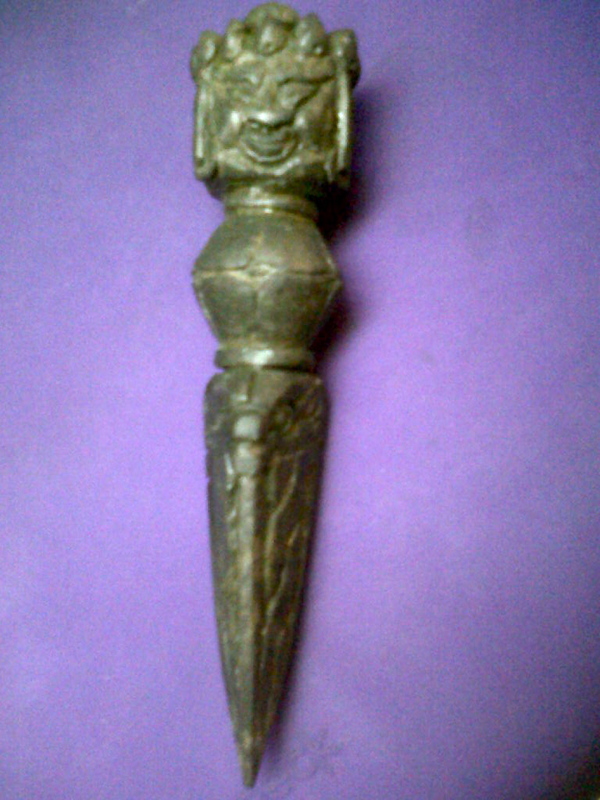 My find for the day though was a lovely Tibetan tektite “dagger” that was probably used in ancient ceremonies. I was told it could have been instrumental in removing entities, evil sprits and negative attachments to people. Psychic surgery or extraction would best describe what this could be used for today. Sorry if the pictures aren’t so clear, I took this all with my Blackberry’s camera and I can’t seem to get the focus right. 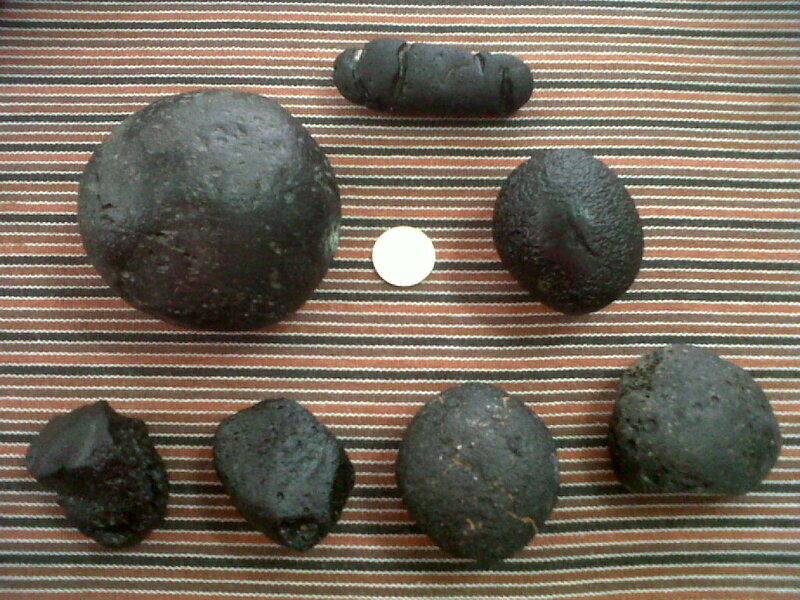 Tektites in general (aside perhaps from Moldavites) are not very expensive, although they are fast growing in popularity because they are easy to maintain and very effective. In fact, the Bikolites are getting harder and harder to find that my collector friend mentioned they are now becoming un-replenishable. Btw, locals in Bicol refer to his meteorite as “tae ng bituin” literally translated into “starshit”. Funny.